Informal settlements are often missing from geographic and statistical representation of their countries, and Nairobi’s informal settlements are no exception. With so few household surveys, high-quality data with specific focus on informal settlements are very hard to come by. For this reason, little information is available on the quality and quantity of public and private institutions, public services, or on the wants and needs of the people living in informal settlements. In November 2013, Spatial Collective conducted a household survey in four of the six wards in Mathare. This was a first-step in the launching of the Mtaa Safi (Clean Neighborhood)campaign. 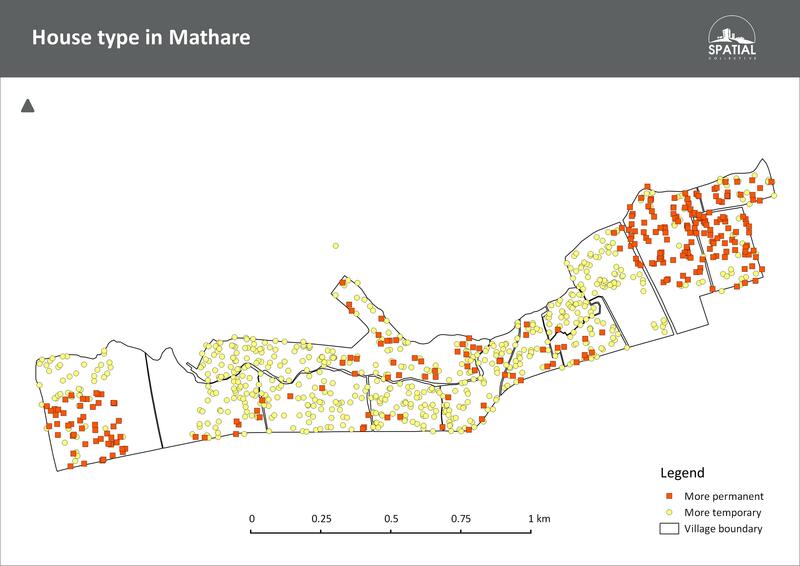 As already noted in previous blog posts, the purpose of the survey was to create a basic demographic profile of Mathare and, in greater detail, look into how people use information and communication technologies (ICTs) and acquire deeper understanding of the habits and behavior concerning solid waste management. This blog post will focus on demographic characteristics of Mathare that emerged from our sample (N=980) and take a closer look at how they compare to other countrywide statistics. The ratio of respondents in our survey is equally divided between male (49.7 percent) and female (50.3 percent). This mirrors the nationwide gender distribution for Kenya, which, according to the United Nations Population Division, is equally divided, with 49.8 percent male and 50.1 percent female. The United Nations Population Division reports that Kenya’s population grew twofold since 1990, from 23 million to an estimated 45.5 million in 2014. 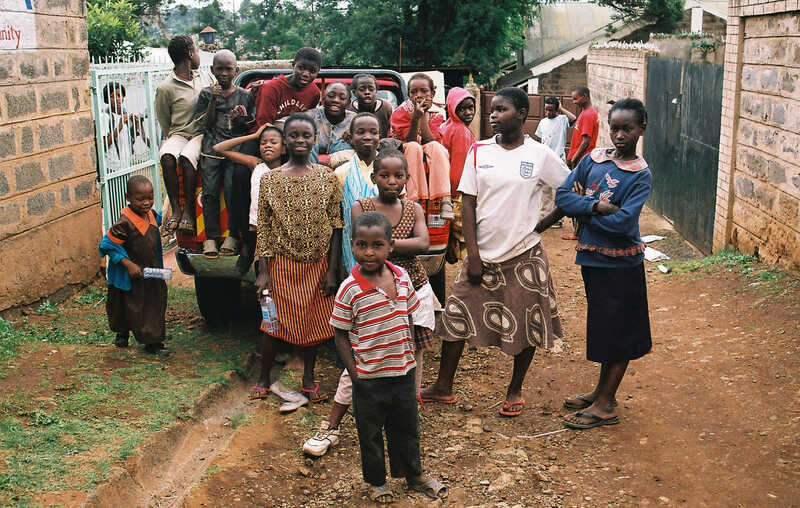 Further, in 2009, Kenya Population and Housing Census reports that 78.3 percent of people in the country were below 35 years old (35 years is the threshold between the youth and adulthood in Kenya). Again, our survey results reveal a similar pattern in Mathare. 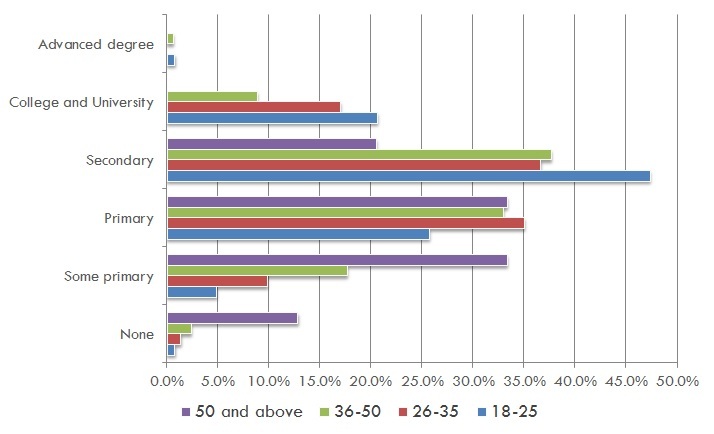 Approximately 41 percent of the people in the sample are below 25 years old. Additionally, 38 percent are younger than 35 years of age. In other words, the majority of the people in the sample (almost 80 percent) are younger than 35 years old. Our results also illustrate what is often referred to as Africa’s youth bulge. In Africa and elsewhere in the developing world, significant percentages of the population are young. The youth bulge exists because the country reduced infant mortality rate but still has high fertility rate which results in the fact that a large share of the population is comprised of children and young adults. The youth population (15–24 year as measured by the World Bank) is growing faster in Africa than in any other region of the world. According to World Bank statistics, 200 million people in Africa are between 15 and 24 years of age. This means that 20 percent of the population, 40 percent of the workforce, and 60 percent of the unemployed on the continent are youth. Education provides many benefits to improving lives of the people, especially for the poor and the marginalized. Some of these benefits can be found in reducing poverty and improving livelihoods, health and general wellbeing, as well as in promoting democracy. Primary school enrollment levels have grown significantly since Kenya introduced free primary education in 2003. 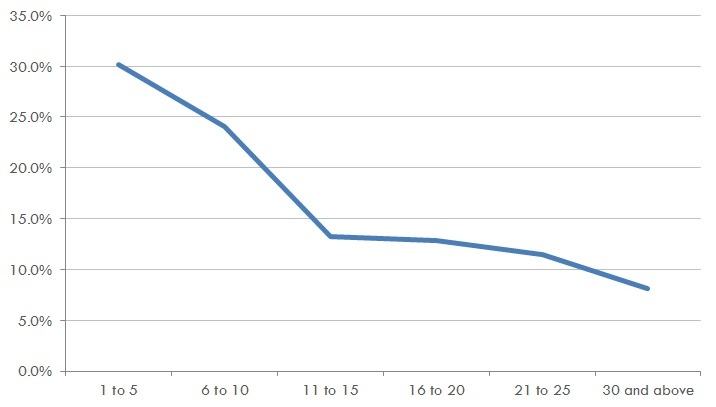 According the World Bank data, in 2009, Kenya had 81.8 percent net enrolment in primary schools and 50 percent net secondary school enrolment (net enrolment is the ratio of children of the official primary/secondary school age who are enrolled in primary/secondary school to the total population of the official primary/secondary school age). Approximately 3/4 of the people in our survey – 71 percent – have either primary or secondary school education. Less than 17 percent of the interviewees have either college degree or university degree, and only 4 people out of the sample of 980 (or less than 1 percent) have advanced post-undergraduate degree. The fact that very few people continue schooling past secondary school can be attributed to the poor economic situation of residents in the slums as well as to the poor quality of educational facilities in the slums. 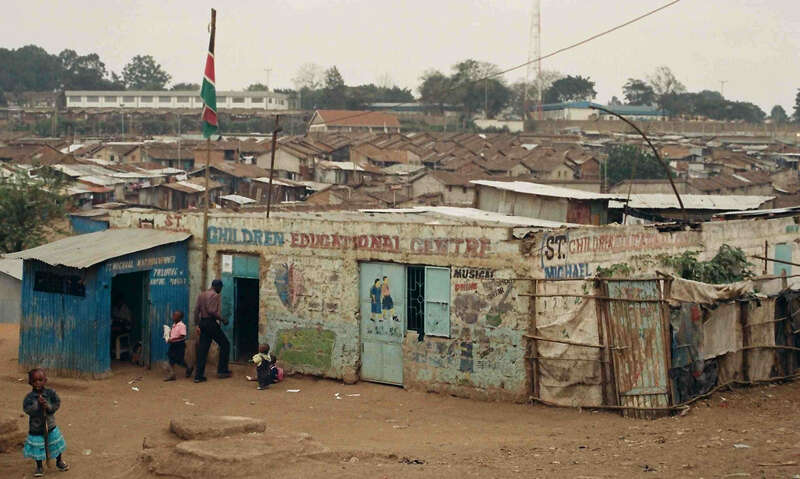 According to research conducted in Nairobi’s slums, education costs amount to up to 10% of the total household expenditures. Child education expenditure can amount almost as high as that of food or rent. Because people aren’t able to afford to send children to school, many children from the slums do not benefit from free primary education. Girls tend to attend school in higher rates than boys until up to the secondary school but fall behind after the secondary school. 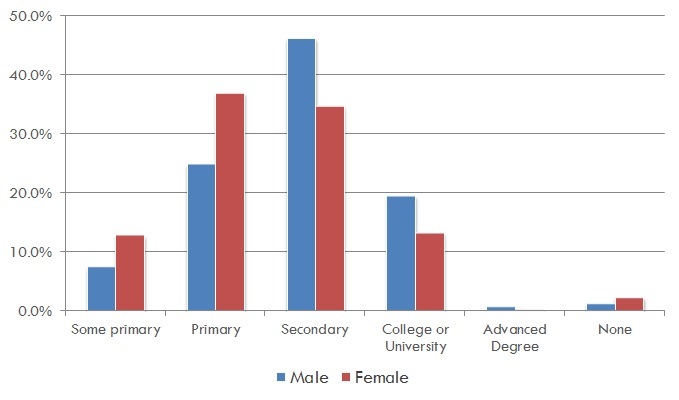 According to the survey, there are more males from Mathare in colleges and universities. Africa and many parts of the developing world are experiencing significant unemployment problem. Unemployment is remarkably high among the youth; and especially high among women. Youth employment is oftentimes several times lower than that of adults; female employment is even worse. 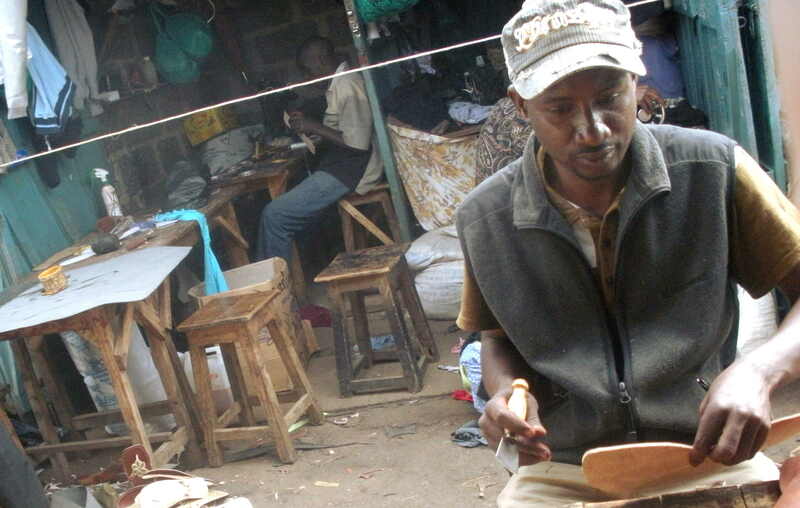 According to previous studies, the informal sector in Nairobi employs up to two-thirds of the city’s labor force. Our survey shows that almost half or 45 percent of the people interviewed are reportedly self-employed, and 32 percent are unemployed. 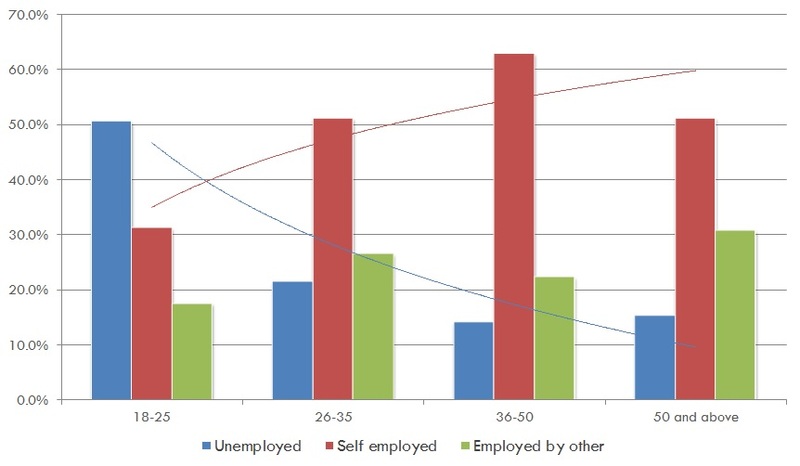 It seems that unemployment decreases with age, mostly due to self-employment in the informal sector. 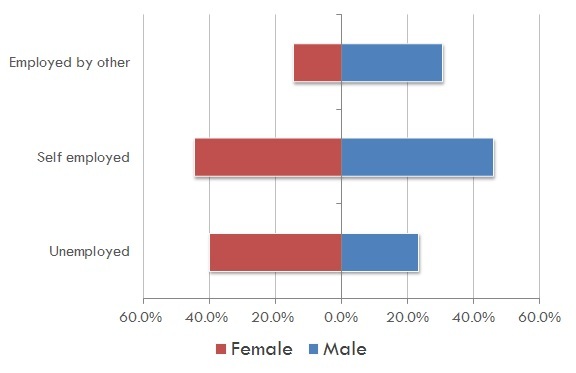 Gender wise, more men are employed and more women unemployed; self-employment is equal between both genders. It is widely believed that populations in the slums are transient. Many people living in the slums believe that their stay is only temporary, lasting only until they find somewhere more appropriate to live. Our data shows that more than half of the people interviewed (54 percent) have lived in Mathare for ten or less years. This number points to a modestly transient nature of the informal settlement. Academics contend that the reasons for the lack of basic services, lack of investment, and lack of interest by the state can be attributed to the transient nature of the settlements which may lead tenants to not voice demands for improved services. Many of the people in Kenya’s informal settlements live in houses made out of tin and wood and mud. 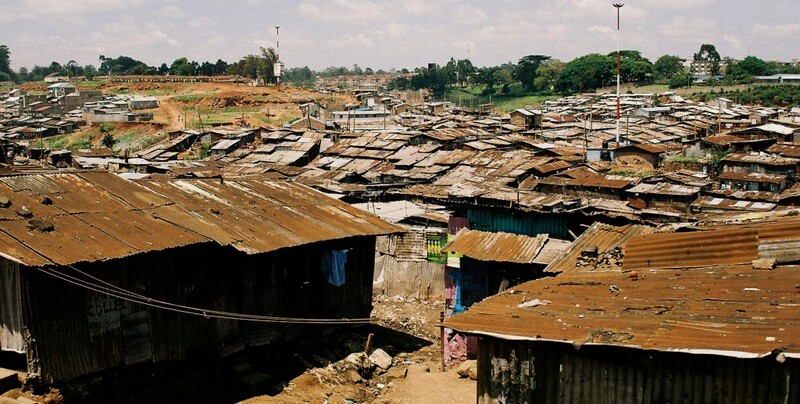 According to UN-Habitat, Nairobi’s slums have some of the most deprived conditions in the world (UN-Habitat 2006). 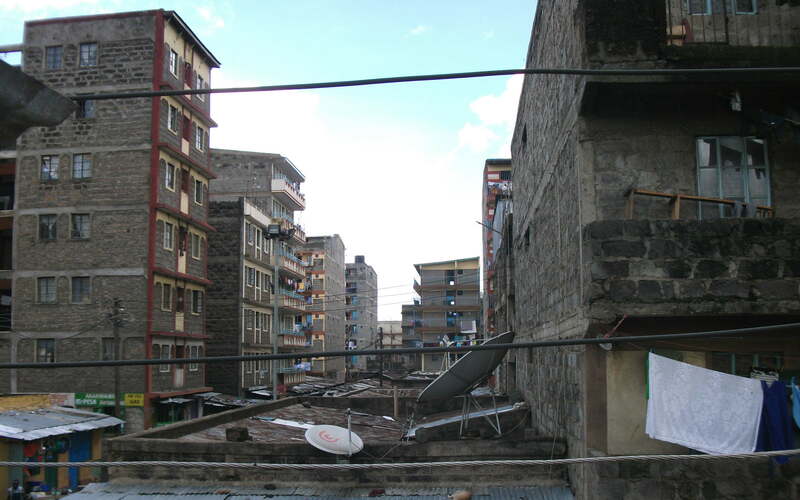 Mathare is an area where both more permanent dwellings, such as high-rise buildings (usually between three and eight floors), and more temporary dwellings, such as mud-huts and tin-shacks, intertwine. Two-thirds of the people interviewed in our survey live in tin-shacks or mud-huts while approximately one third live in semi-permanent, permanent or high-rise buildings. The map below shows the types of households divided into more permanent structures (high-rise, semi-permanent and permanent) and more temporary structures (mud huts and iron sheet buildings). These high-rise and permanent buildings differ from tin-shacks in that they are usually units with multiple apartments; however, the apartment size is similar to that of tin-shacks (approximately 9 square meters). High-rise buildings have better access to services, such as electricity, water and sewerage, however, the provision of these services is still very infrequent. 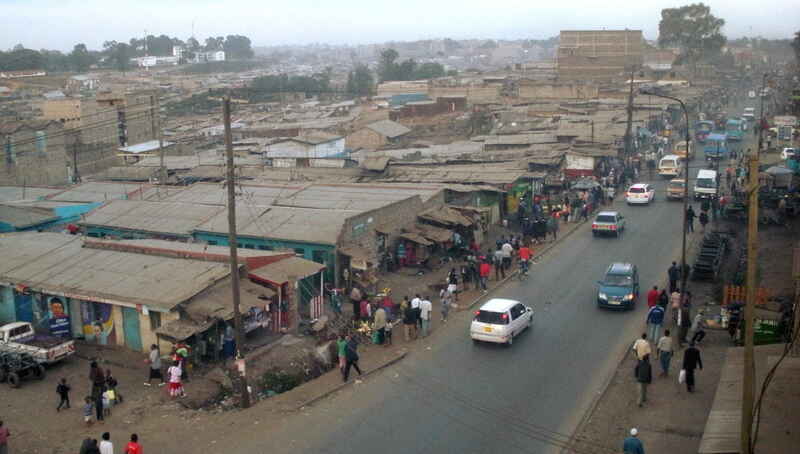 The survey further shows that the average household size in Mathare is around 3.5 people per household. This concludes our demographic analysis of Mathare. As we can see, the information gathered compares relatively well to other studies conducted in Kenya and in other comparable informal settlements in the country. We can conclude that our sample is representative.